We say and do believe it’s not about the destination, it’s about the ride. However, when it is in fact about the ride and not the destination, often times you end up in a unique place. The planned 500+ mile ride from Sturgis to Aspen was cut short due to the myriad of deer on the road and having been told by locals that the route from Leadville to Aspen was considerably more rampant with wildlife and that we’d be insane to travel that road so late at night. So, randomly we ended up staying in this famous town for the evening. 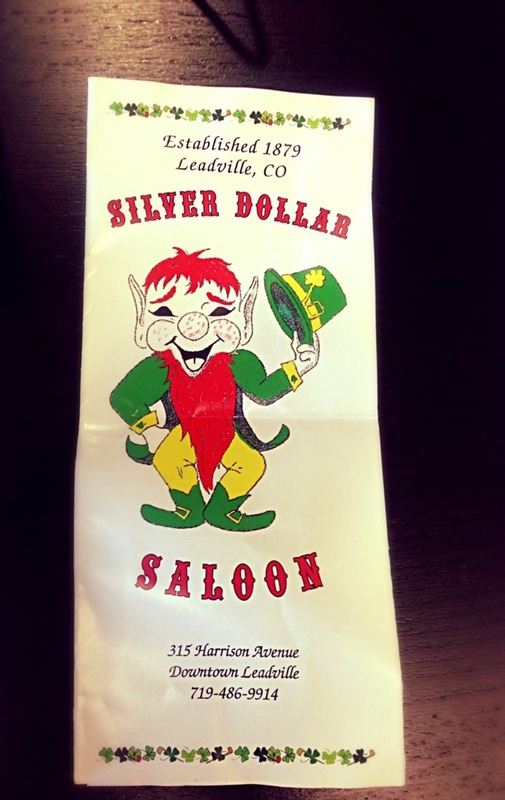 If Leadville rings a bell, you may be an athlete – a runner or a cycler. This is the home of one of America’s ultra marathons – The Race Across the Sky (otherwise known as The Leadville 100). 100 frikin’ miles through the heart of the Rockies at elevations ranging from 9,200-12,620 feet. This is insanity. I will say however, if I could run this far it’d be a beautiful place to do it. Truly a cool town! We were fortunate to get the last few rooms at the Super 8 where I slept on the floor for the night. Surprisingly comfortable. 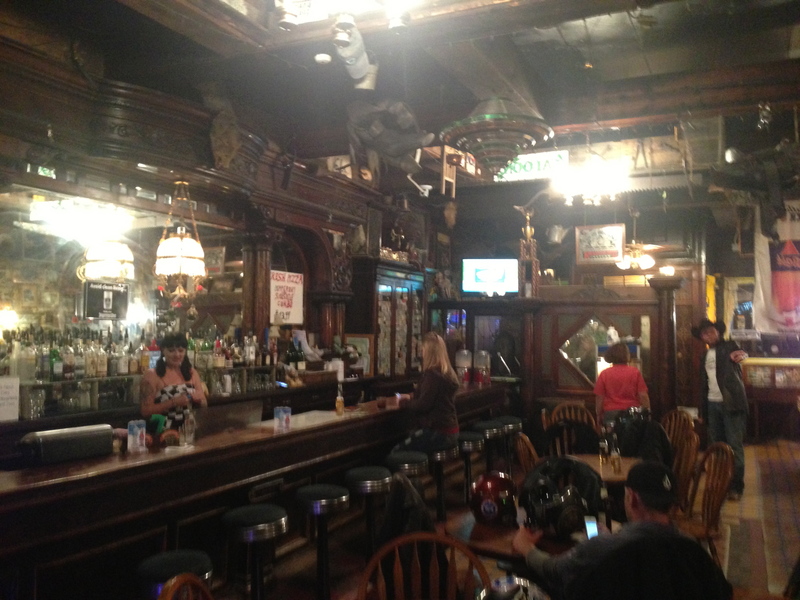 Before we hit the sack we needed fuel and given our late arrival time unpacked and swung the bikes over to the only open establishment in town, the Silver Dollar Saloon. 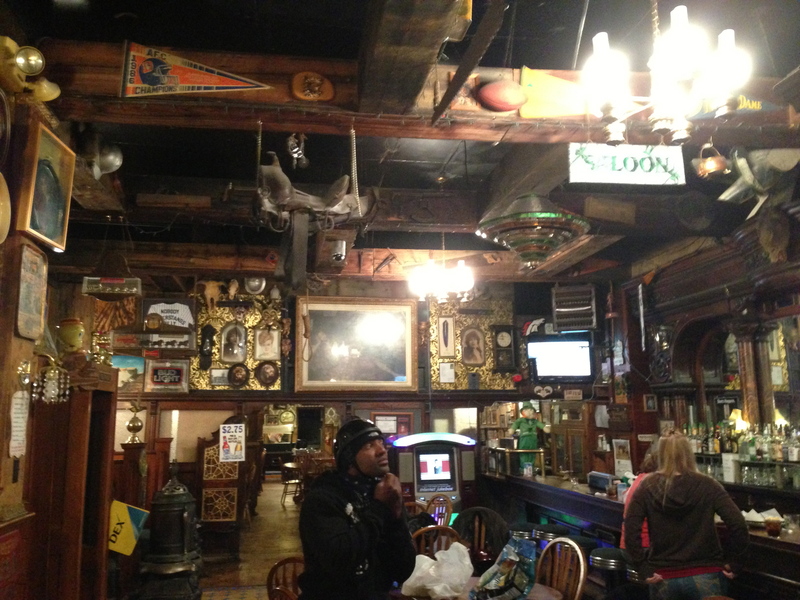 If you’re going to make your way to Independence Pass, which you should because it’s one of the most amazing fast and technical roads I’ve been on (and I’ve been on a lot of roads) stay in Leadville so you can go to this bar. Talk about eclectic. 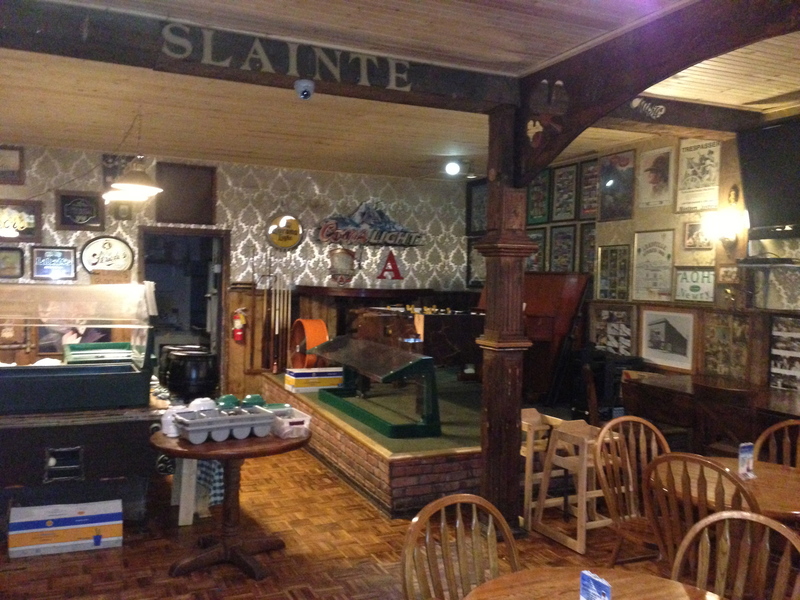 They’ve got all sorts of stuff on the walls from original sports memorabilia to photos of the bar and its patrons from the 1800’s. They’ve even got an old telephone booth. We don’t see those anymore. 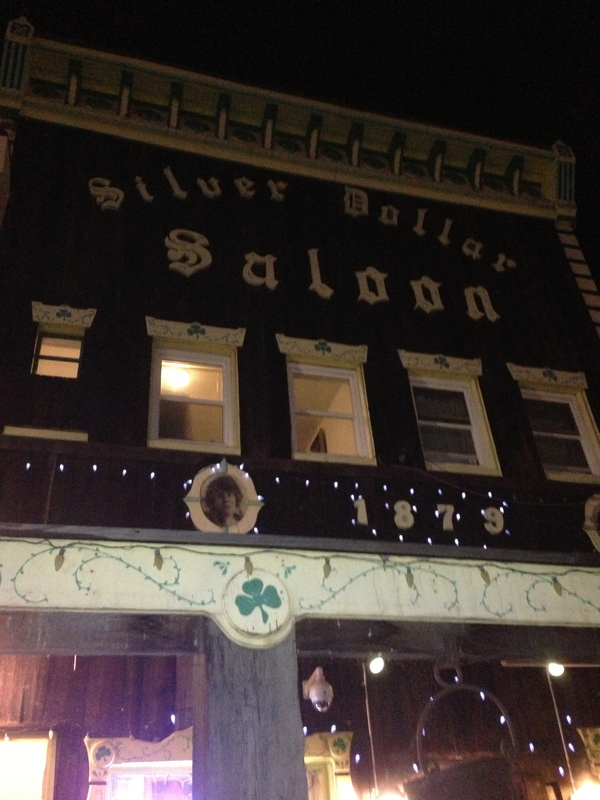 The Silver Dollar Saloon started out as a house for gambling and drinking, eventually to be given it’s current name in 1879. It’s got a front and back bar, swinging doors and a windbreak. The windbreak existed to keep out the harsh Colorado winters, but the real use we’re told was to keep the patron’s safe from prying eyes (their wives). It’s been told there was quite the list of colorful characters that frequented the establishment including Oscar Wilde. 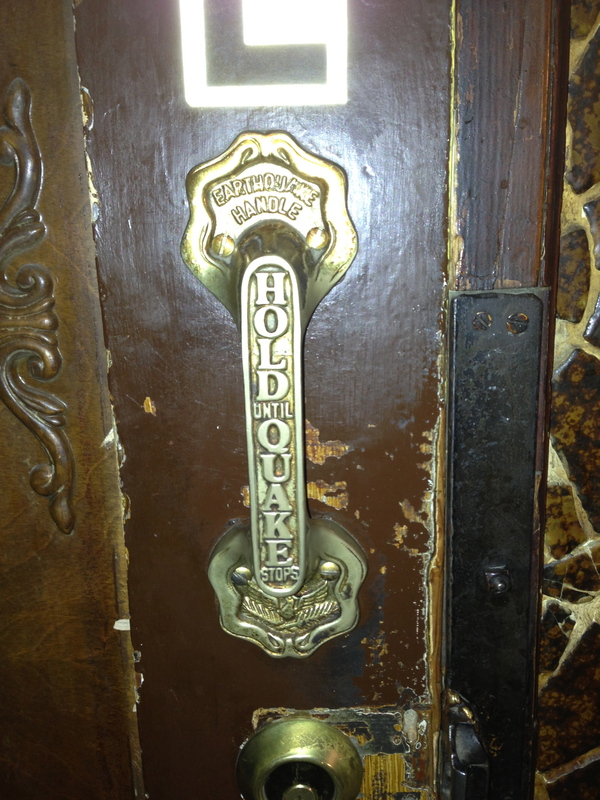 As a mining town, many struck it rich here, but the bar was no stranger to all walks of life. If you’ve read this far, you’re lucky as here’s where it gets interesting. When we arrived at the bar, the kitchen was closed, but the booze was not. We ordered a round – one round only as we were riding back (and there was a single patrolman pulling over everyone in town). 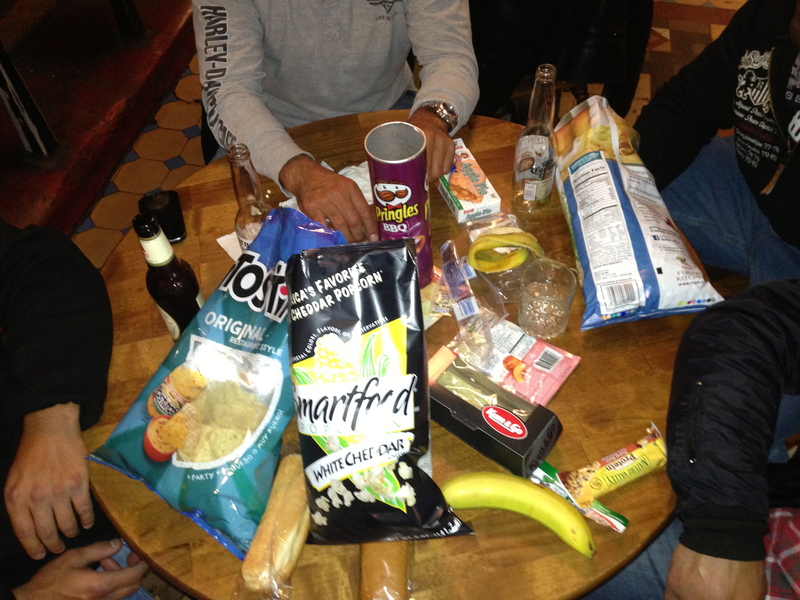 We hopped across the street to the convenient store and got a bunch of snacks to bring over as we were famished. We were truly appreciative the bartender was nice enough to allow this. 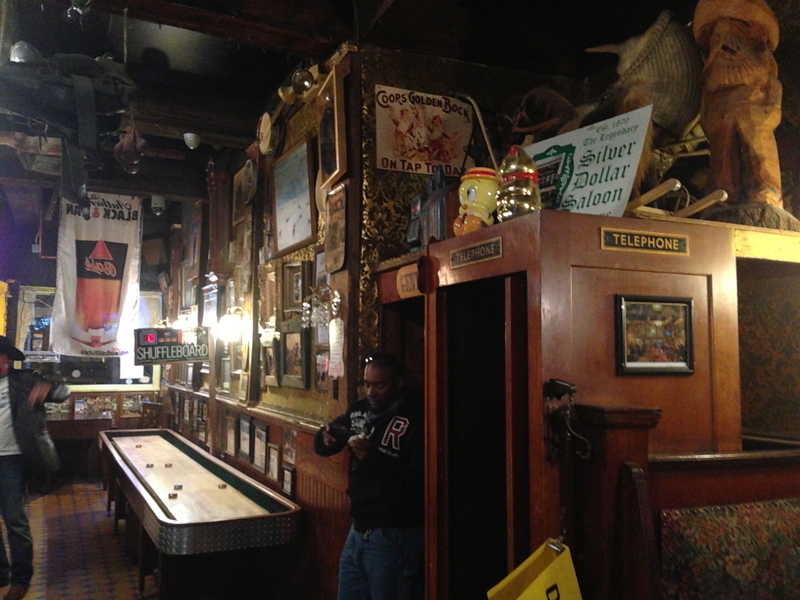 While we were hanging out talking about the days ride, giving one another a hard time for basically anything – because that’s what dudes do, we made time to mosey around the bar and check out all it’s incredible historical memorabilia. I eventually made my way into the back bar. Checking out the photos and all the items I noticed something odd. I felt something different about that back bar. Something that was cold and made me numb from my back up to my neck. I’d experienced this before so I was familiar. Adding to the oddness, I found a photo of three men being hanged in the center of town which appeared be be administered by priests. When I got back to the front bar I I said to the bartender, “So, you’ve got something paranormal here, huh?” I figured, I can’t be the only person who’s noticed this before over the last 100+ years. She got kind of excited and summonsed me to the back. She showed me photos of a previous owner’s wife who’d passed and actual photos of ghosts taken from within the bar. Allegedly, there are regular gamblers playing poker from centuries past and she’d even seen an apparition in the basement (not creepy at all)! Truly, awesome. I’m connected to that bar now as that was quite an interesting experience. If you make it out there, check out the back bar! Thanks for the note. What was it called prior to the 30s? 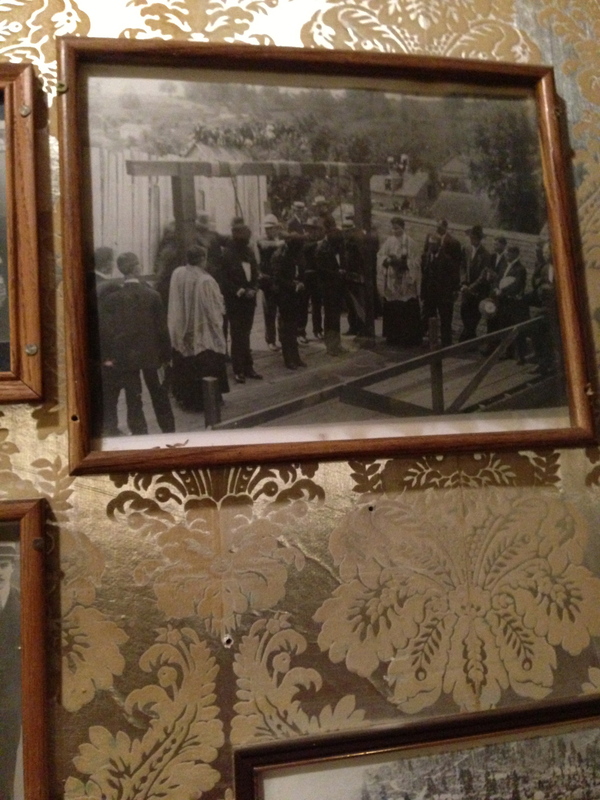 Have you visited the bar- do you believe it’s haunted?